With Thanksgiving coming up, my life gets hectic! Cooking dinner for my whole family is a pretty stressful event as I’m sure you all know. Since almost all of my family lives several hours away, they end up coming the day before Thanksgiving. This is wonderful since we get to spend lots of time together. However, I’m not usually up for cooking a fancy meal the day before Thanksgiving. My solution? Take out! Just kidding. I pull out one of my trusty freezer meals, dump it into the crockpot early Wednesday morning and forget about it. For this Thanksgiving, I’m going to make Crockpot Honey Chicken. It’s super tasty and so easy to make. 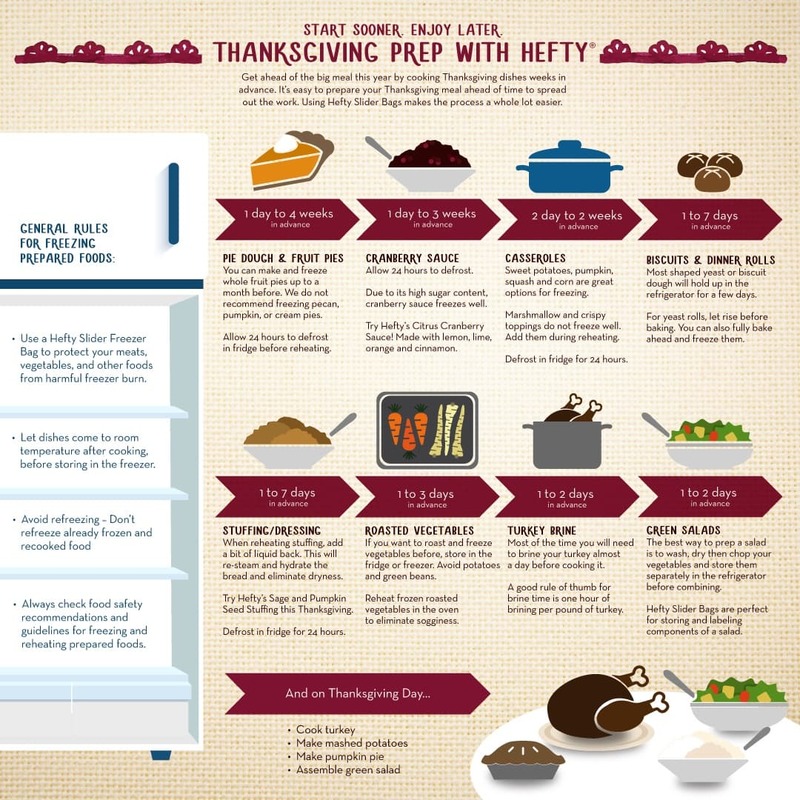 In fact, I did my prep work already and now it’s sitting in the freezer ready for the day before Thanksgiving! 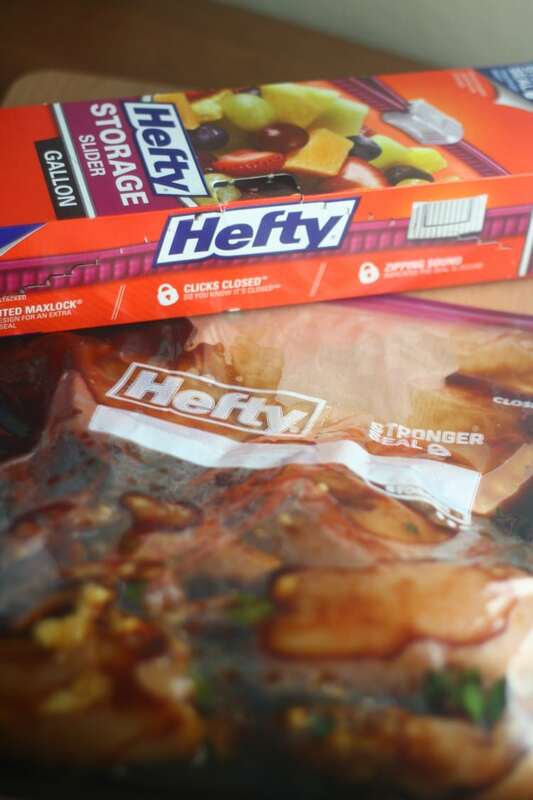 Thanks to myHefty Storage Slider Bags, I know my dinner prep will stay nice and fresh. Combine all of your ingredients in yourHefty Storage Slider Bags expect the water, red pepper, garlic powder, white pepper and parsley. Place in the freezer until you’re ready to use. 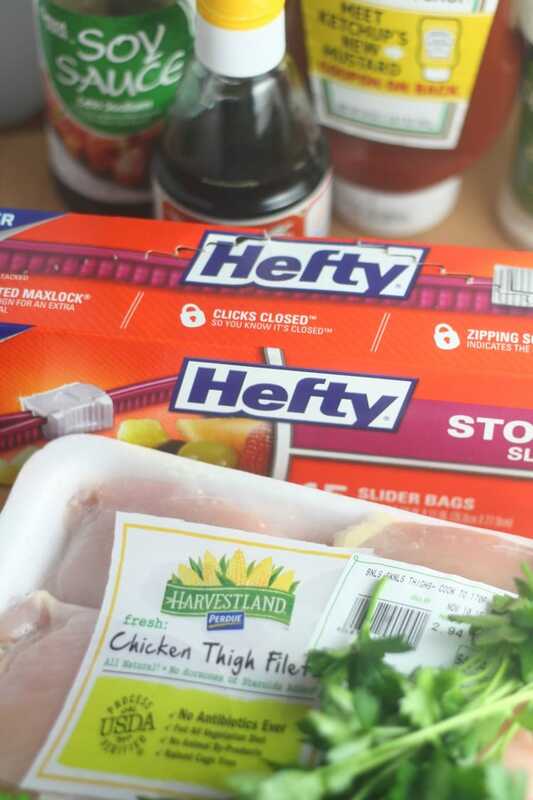 Once you’re ready to cook up your honey chicken, defrost overnight in the refrigerator. In the morning dump all of the ingredients into your crockpot. Add in your water, red pepper, garlic powder, white powder and parsley. Let cook on low for seven hours. Once the chicken is cooked, serve with rice. I like to use the leftover sauce to drizzle over the rice and chicken. Sometimes the sauce is a little thin, so I mix in a couple of teaspoons of corn starch until I reach the desired thickness. Need some Thanksgiving Prep inspiration? Check out the infographic below!